When I first bought this vintage dress I love it so much I wore it nearly once a week and thus made myself a little sick of it. Still, being tired of wearing it never made me want to get rid of it so it stayed in my closet and went along with me in each move (hard to believe I've lived in four different homes and two states since 2012!) and is finally being worn again. 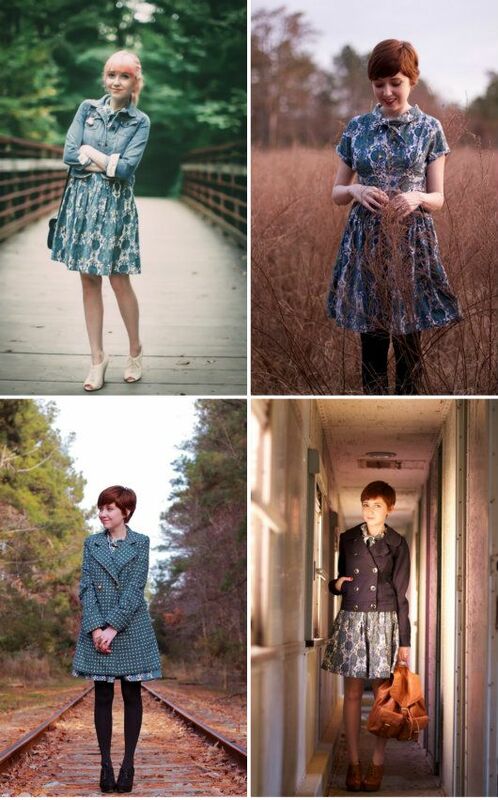 I usually try to get rid of pieces I haven't worn in over a year, but vintage dresses are always my exception. Since vintage pieces are never really "on trend" they can also never go out of style and I always feel like though they might be neglected for a few seasons eventually I'll be ready to wear them again.